Roberta Nin Feliz, a high school student who attended the Summer STEM pre-college program in 2014, has written an opinion piece for the New York Daily News reflecting on the unexpected insights she gained during her time there. 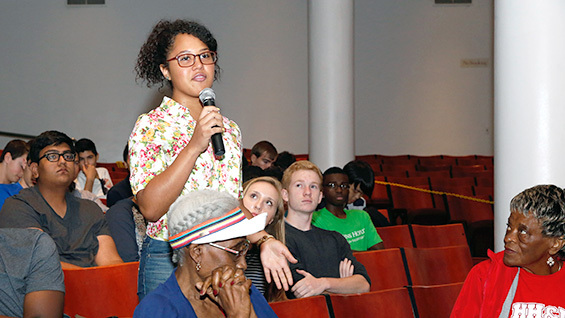 The focus is on her experience of race in her life and education and how it was affected by a historic assembly organized as part of the Summer STEM program. 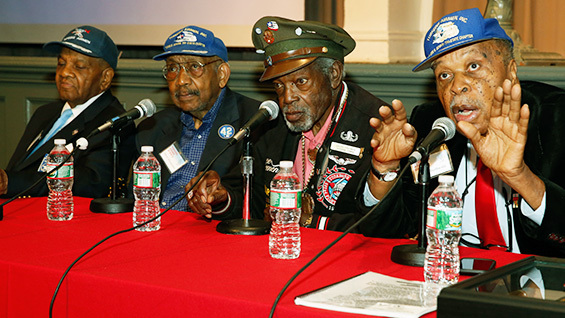 Henry Rey, an instructor, invited members of the Tuskegee Airmen, an African-American Air Force squad during World War II, to speak. Ms. Feliz relates her experience of that event in her opinion piece. "Being a part of that program opened my eyes to a world outside of the one I live in with Blacks and Latinos," she writes. "As young people, we should be informed about those who came before us, their accomplishments, failures, and goals, so that we can become better, and move forward into a better tomorrow."